This year’s annual Bilderberg conference is rapidly approaching – where the world’s political and business elite meet in private to discuss their agenda which will determine future policies that govern global affairs. Some aspects of this year’s Bilderberg agenda are gradually coming into view, and have the potential for directly affecting not only big multinationals like Google, but every business on the planet. The secret gathering has been gradually forced into public view in recent years, and the run-up to Bilderberg 2013 has been one of great anticipation and not without its share of news. First came the false start from the alternative media regarding the meeting’s actual location, with many claiming it would be held again at the Westfield Marriot in Chantilly, Virginia. Two months after, the announcement arrived that the meeting would take place 30 minutes north of London, at the Grove Hotel in Hertfordshire, England, and small media circus is expected the year following the announcement that a ‘Bilderberg Fringe’ festival is being organized adjacent to the venue – an event certain to attract hundreds, if not thousands of revelers, press and alternative media personalities. Add to this the news that long time Bilderberg sleuth and American Free Press correspondent, Jim Tucker had passed away on April 24th. Few people would even know the Bilderberg meetings ever took place if not for 30 years of digging and reporting by veteran journalist Tucker. 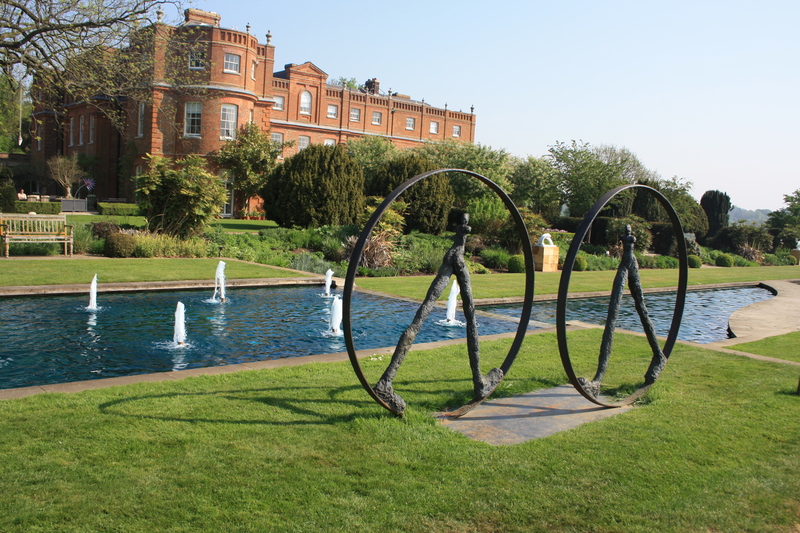 PHOTO: The Grove Hotel in Hertfordshire, North London – hosts to Google and Bilderberg summits. Beyond all the fanfare, however, the central question still remains: what items will be on the agenda at this year’s ultra-secret transatlantic steering committee? The answer to this question may be hidden in plain site. Google is currently engaged in a battle over unpaid taxes in the UK, and which has led political commentators to now call for a new system of global taxation. Not surprisingly, this has become the chief topic of discussion at a series of global summits taking place during May and June. This past week witnessed another major global conference held at the very same Grove Hotel in Hertfordshire. The parallels to Bilderberg are striking – they share the same guests, the same venue, observe similar codes on conduct, and no doubt have similar items on their agenda. Google’s ‘Zeitgeist’ Global Summit, or “Big Tent” event, is effectively the internet’s version of a ‘Digital Davos’, where ‘the best and the brightest’ are invited to hear the latest ‘big ideas’, with debates and keynote speeches from the likes of Bill Clinton (Bilderberg member), UK Chancellor George Osborne, UK Labour Party leader Ed Miliband and other celebrities including Stephen Hawking. It’s worth pointing out here that both Osborne and Miliband have played the role of Google’s adversary in public during their corporation tax row, yet they are the corporation’s VIP guests in private. Beyond the high profile talks and entertainment, there were of course, some serious discussion about ‘big ideas’ taking place under the big tent. This year’s event also required participants to observe ‘Chatham House Rules’, meaning key conversations should be held in the strictest of confidence and not be leaked to the outside world. As with Bilderberg, Google’s Big Tent discusses serious global changes that affect present and future generations – all behind closed doors. Other persons of note at this year’s Google retreat were former US attorney general and Bush legal brain, Alberto Gonzales, alongside former Secretary of State Hillary ‘innovation’ adviser, Alec Ross, key Putin advisor Arkady Dvorkovich, and Swedish foreign affairs minister, Carl Bildt (Bilderberg attendee 2006-2012). The profile of Google and Bilderberg guests has seen an incredible overlap in recent years, which is a testament to the corporation’s own stated ambition to achieve a global dominion, not only over its marketplace, but over cultural and political life as well. The reality in 2013 is that Google is poised to manage nearly every aspect of our lives – our communications, our work, our social life and even our history. As Google’s global summit runs smoothly into Bilderberg this year, so have the two meeting agendas. Recent years have seen an increase in the influx of digital tycoons present at Bilderberg. 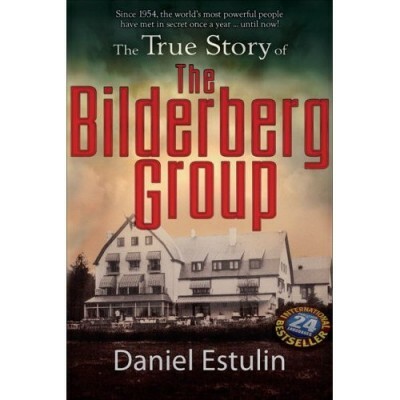 Alongside software moguls like Craig Mundie, Head of Research and Strategy Officer at Microsoft (Bilderberg attendee 2006-2012), and Google CEO Eric Schmidt (Bilderberg attendee 2007-2011), the social media kingpins have also moved in to occupy key positions in Bilderberg’s top steering committees. A key player in amongst them is Peter Thiel (left), head of Clarium Capital, the digital investment house that provided the financial clout which allowed for online ventures like Paypal, Facebook, LinkedIn and Friendster to dominate their digital marketplaces. 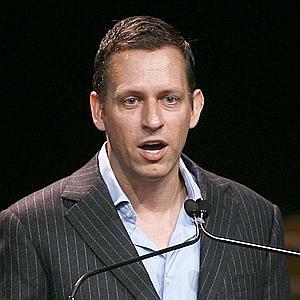 Thiel was promoted to Bilderberg committee head in 20ll and has emerged as a key player not only in the online industries, but also as an influencer in US political spheres, gaining attention recently as a prominent backer of Kentucky’s Republican junior Senator Rand Paul. The convergence of the Google Summit, its tax battle, and Bilderberg 2013 may seem innocent enough on its surface, but the timing is no mere coincidence. UK leadership have whipped up a frenzy in the media over Google’s alleged tax sins, leaving the public clamouring for a solution. The words “never let a good crisis go to waste” certainly chime in well here. Will Google throw in the towel and submit to a British tax resolution? The fact of matter is Google is powerful and with a net worth that trumps some countries. These days much of the world’s commerce runs through Google in some way, and their brand recognition and money buys influence in Britain, and everywhere else it seems. So it’s doubtful that any British politico could strong-arm Google. Behind the scenes both Google and Britain’s political elite share a place at central planning’s top round table – as members of the Bilderberg Group and that’s where the really ‘big ideas’ are not just discussed, but actually transmitted into policy. As the public feud between Google and Downing Street takes centre stage, backstage both UK Chancellor George Osborne and Google CEO Eric Schmidt – both committed fellow Bilderberg members, are said to have met in private at the Google event, and are poised to do so again at Bilderberg 2013. Both have attended the annual meeting almost continuously since 2006. 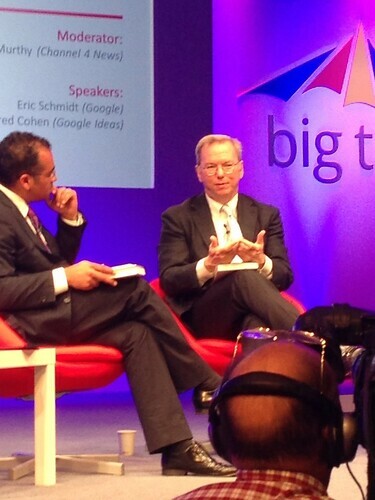 George Osborne: Attacks Google in public, but VIP guest and fellow Bilderberger to Google CEO Schmidt in private. So this apparent Punch ‘n Judy match between Google and Downing Street appears just three weeks before this year’s Bilderberg summit, and four weeks before the G8, and suddenly the UK government and media outlets have become infested with a the new talking point: “we need for a new ‘global profit tax’. National governments could and should try to put a stop to this egregious “profit shifting” on their own. But a unilateral approach is plainly second best. So is Google supplying the Trojan horse needed to implement a global taxation system that many have been warning about for so many years? Maybe. Will Bilderberg’s global elite use this perfect crisis moment as a pretext to build the framework for global taxation? Most likely. If the idea passes through Bilderberg in June, will it then be rubber stamped later at the G8? Highly likely. Although happy to float such a revolutionary idea in the media in advance of back-to-back Google and Bilderberg summits at the Grove Hotel, and later at the G8, one thing which global taxation advocates fail to mention here is that if you institute a global taxation system then you would then need a global government to administrate it. Yes, you heard that right: global taxation = global government. It would be naive to think that any tax could be levied without a government standing behind it. That is, after all, part of the definition of a tax. Campaigners will deny it exists, but the reality is that global governing bodies have already been put into place long ago. UK Column Editor Mike Robinson explains, “I think that the embryonic global institutions are already in place, and we’re going to see them being given more and more real ‘jobs’ to do as time goes on, and collecting corporation tax is clearly going to be one of those”. History can certainly prove one thing: that the world’s wealthiest individuals corporations have consistently exploited all international tax loopholes for years now. Whatever commentators like Ben Chu and others are proposing will obviously be much easier to enforce on small to medium size businesses, as well as individual traders – all of whom have significantly less political leverage (and no invitations to Bilderberg) than the Googles and Facebooks of the world. Coincidentally, this year’s G8 in Northern Ireland will be the biggest police operation in country’s history (and that’s saying a lot), with an estimated 8,000 officers from the surrounding counties, and from as far as England and Wales, all drafted in to secure the area for what many now believe has essentially become a global government operations meeting in all but name. The financial component of this global tax and government equation is actually already in place, and that is the World Bank. The first administrative working model for a global taxation structure was originally unveiled in 2009 at the United Nations Climate Summit in Copenhagen. Delegates at that event floated their plan for a global carbon tax that would be collected and then deposited into a slush fund which was to be administered by the World Bank. There plan also entailed the poorer, developing nations footing most of the bill for this operation, while the wealthier nations would receive a free pass. The secret plan was thwarted at the last minute thanks to the infamous Danish Text Leak, which were serialized in the Guardian newspaper at the time. Although popular in socialist circles, few have dared reveal the true picture of a global tax regime for fear of triggering a public backlash. Another such tax proposals have been pushed into the public sphere through the Occupy Movement in 2011, with called for a global tax on financial transactions, or a global “Robin Hood Tax”. As was the case in Copenhagen two years earlier, proponents called for a tax structure without borders, yet few dared mention who would be in charge of administering and distributing the revenues. Such plans pose the very real danger of further centralizing power into the international banking community who would be asked to handle and perhaps hypothecate on these enormous slush funds. Which brings us back to this latest global ‘google tax’ proposal, which ultimately begs the question: when will their global government structure be unveiled? Plans for erecting an entirely new global tax system should worry anyone who values the concept of national sovereignty because any solution that entails the collection of tax by way of elite international “collective” of nations, and where “revenues are to divided up fairly between them” is suggesting a form of global collectivism, or communism. This is also the fundamental problem with EU plans to levy new taxes on member nations – for any citizen it’s simply another master to serve. Shocking as that may be, these issues are exactly what is being discussed behind closed doors at each of these global summits taking place in May and June of 2013. What’s worse, is that this entire construct could be ushered in without any vote being cast by an citizen in the individual countries – which is about as undemocratic as it gets. This remains one of the fundamental flaws at the heart of the ultra-liberal utopian ideal which is global government.